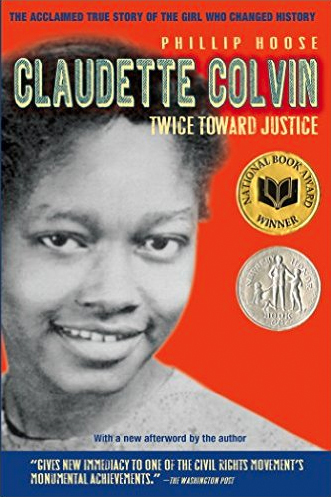 Claudette Colvin: Twice Towards Justice. In March of 1955, nine months before Rosa Parks would refuse to give up her seat on a segregated bus, an impassioned teenager named Claudette Colvin did it. At age 15, she was fed up with Jim Crow segregation and took a stand of her own. She was the last of five witnesses to testify in the Supreme Court in the bus segregation case. Why did we hear so little about Claudette Colvin and so much about Rosa Parks? Read this book to find out. Conduct a mini-research project. Take a ride on a bus or other public transportation. Interview at least three people using the following questions. 1. Who is Rosa Parks? 2. Who is Claudette Colvin? 3. How did you choose where to sit on the bus? Summarize the data and report your results. Feel free to download the LitART NOW sample teacher and student guides. Use the LitART reading, comprehension and vocabulary strategies to build student comprehension. February is Black History Month. Books are a great way to introduce students of all ages to the contributions and achievements of Black Americans to our shared national history.